Here's my list of the top 10 hotels in Paris, France, in all price ranges. 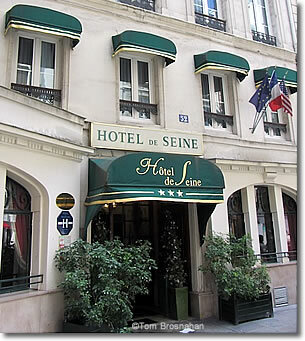 Here are examples of typical Paris hotels to get you started on your search for a room in Paris. Prices change with the seasons, the type of room, and the distance from the city center. Check Hostelbookers to find your hostel, B&B or bed from 22€ to 60€ per night.